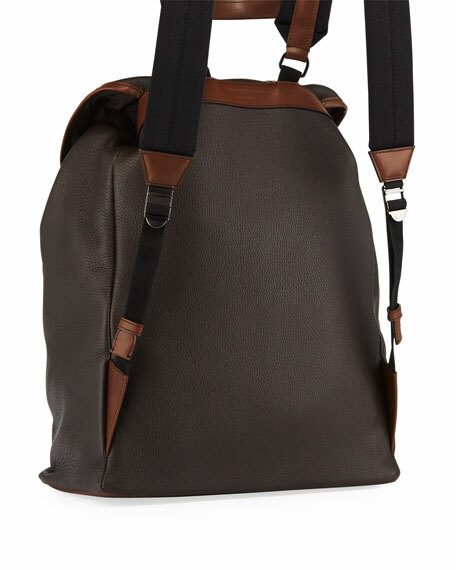 Ermenegildo Zegna backpack in two-tone soft calf leather. Flat top handle with rings. Flap top closure with drawstring to secure opening. 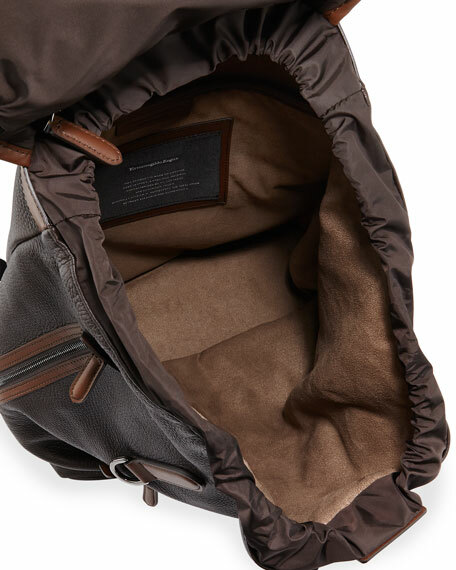 Zip-front pocket; side zip pocket. 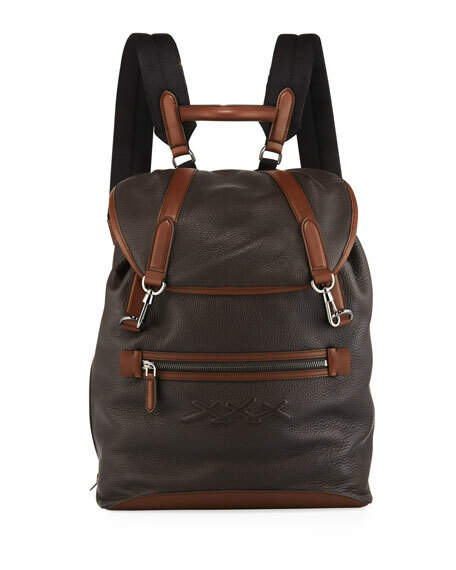 For in-store inquiries, use sku #2624000.